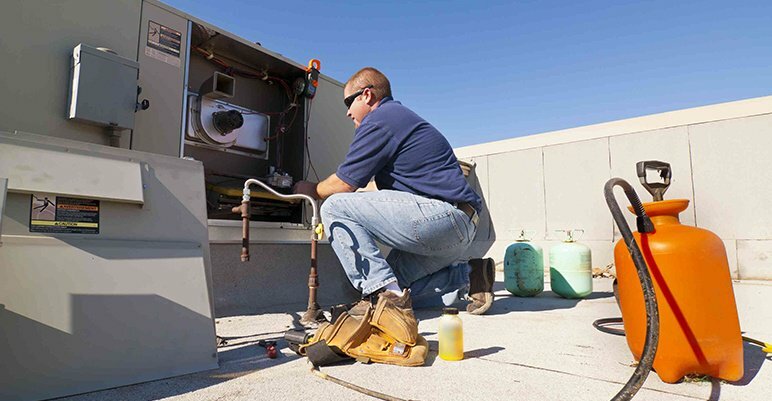 When servicing your commercial facility, your HVAC partner will generally encounter and implement two kinds of maintenance: preventive –– before you need it –– and reparative –– when you need it now. Preventive maintenance is obviously preferable because it helps deter occurrences of need-based maintenance; it may seem unnecessary, but it’s ultimately less expensive for you over time. A third, emerging category of HVAC system maintenance is predictive maintenance. At first sight, it may seem that there is little difference between preventive and predictive maintenance, as they both occur before reparative work is needed. But understanding the difference between predictive and preventive maintenance will help you keep a leg up on the functionality of your equipment, and could keep your HVAC system running long past its expected retirement date. Preventive work describes what you typically think of when you hear the words routine scheduled maintenance. That’s because preventive maintenance is usually time or milestone based. For example, having your car serviced every 3,000 miles is a form of preventive maintenance. Preventive work is the most common form of HVAC maintenance and is already the mainstream practice of commercial HVAC providers. Preventive maintenance is based on generalized assessments of previous breakdowns, which means that repairs or replacements may take place on parts that don’t need to be serviced, based exclusively on their anticipated repair dates. While preventive maintenance is cost saving in the sense that it could prevent future repairs, the unnecessary cost of replacing good parts is one of the pitfalls of this practice. Predictive maintenance, on the other hand, is not event based. Predictive work is dictated by the actual condition and current functionality of your commercial building’s heating and cooling equipment. Another way of framing this difference is to say that preventine work takes place when the machinery is off. The evaluation needed to justify predictive maintenance has to take place while the equipment is in operation. Predictive maintenance differs from preventive maintenance because it uses advanced technology to help evaluate what kind of work is right for a specific piece of equipmen. Rather than using holistic judgements to decide what parts should or shouldn’t be replaced, intelligent systems can learn and store unlimited diagnostic techniques. This aides in evaluating the condition of the HVAC system by testing individual parts instead of depending on typical failure timelines. Predictive maintenance is more cost effective for commercial facility clients because it doesn’t require these arbitrary replacements. Additionally, because predictive work relies on the system’s performance to make replacement evaluations, it decreases the margin of error, saving time and money. Predictive HVAC maintenance isn’t the norm, but it is definitely on the horizon. This industry development benefits both our expert technicians and your commercial HVAC systems. Focusing on predicting and addressing potential mechanical malfunctions will save time and money, and decrease instances of machinery failure. Schedule a checkup with a quality Charlotte HVAC technician to discuss how you can use predictive maintenance to help lower operating costs and improve functionality.